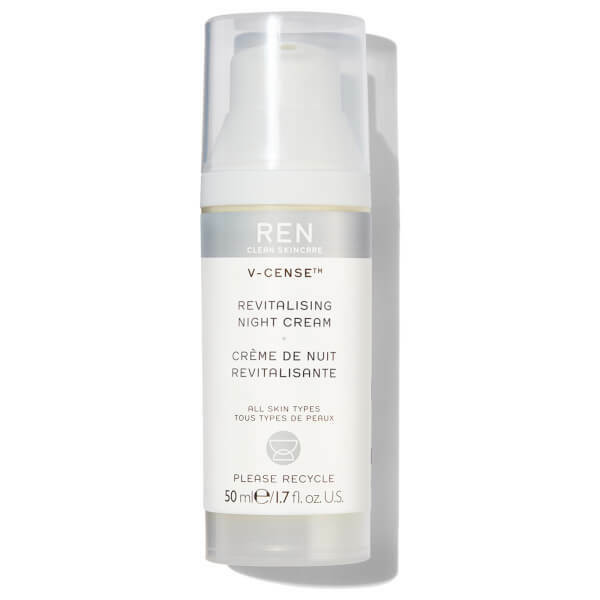 Designed to revitalise and intensively hydrate the skin overnight, the V-Cense Revitalising Night Cream by REN is a multi-action cream which visibly reduces the appearance of fine lines and wrinkles. 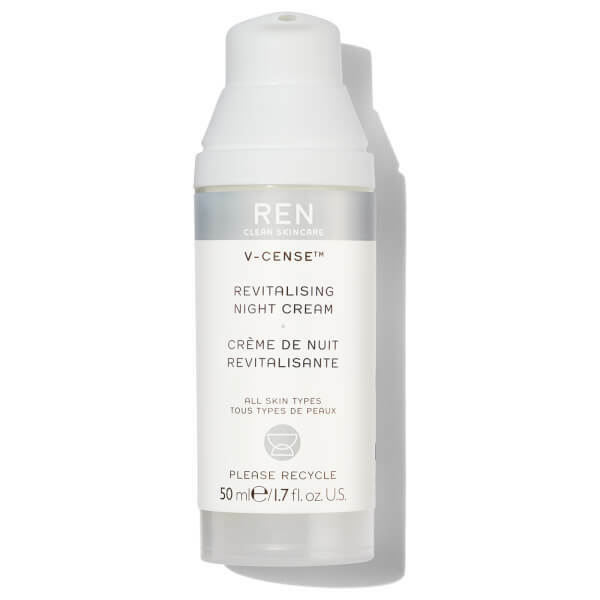 Also helping to even out skin tone and combat the signs of ageing, this recharging night cream leaves skin feeling softer, firmer and smoother. Suitable for use every night. 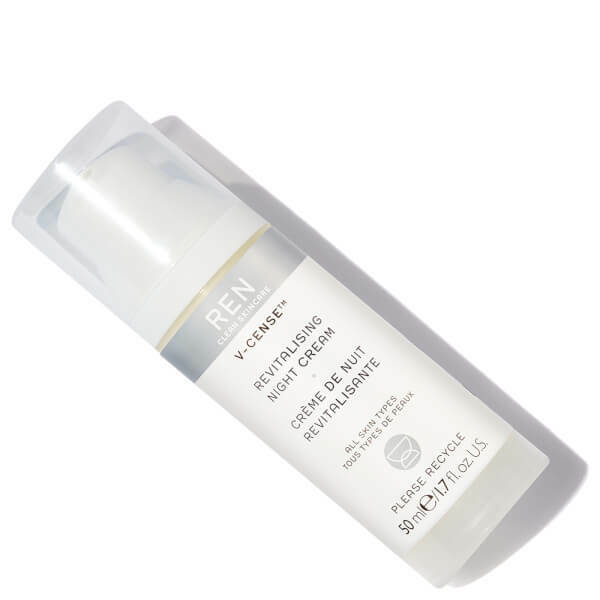 Vitamin C and Citroflavonoids from Calabrian Oranges reduce free radical damage and boost collagen formation to lift and firm the skin. Frankincense and Boswellic Acid relax facial muscles to help smooth expression lines and wrinkles. Phytosterols from Camellia and Wheat Germ boost lipid content and restore.